When do I need to apply for a 3-phase service? A typical residential household would not need a 3-phase service. However, some houses with special equipment with 3-phase ratings will require a 3-phase service. Typical 3-phase equipment are as follows: swimming pool pumps, large centralized air-conditioning units, commercial-grade chillers, and elevators. The equipment will not function without the appropriate phase requirement. We advise you to consult your electrical contractor or electrical experts Certified by Meralco (CBM) to have a proper discussion of this technical requirement. Businesses with large machines may require 3-phase service. Examples of which are manufacturing equipment, elevators, and large air-conditioning or heating machines. To ensure safe and proper operation of your machines, we advise you to consult your electrical contractor or electrical experts Certified by Meralco (CBM) to have a comprehensive discussion of this technical requirement. Is there a cost difference between 1-phase and 3-phase services? Monthly electricity rates do not differ between single-phase and 3-phase services. However, costs to install will vary, depending on the size of the loads. How do I apply for a protective line cover? Applications for protective line covers are processed in any of the Meralco business centers. What are Protective Line Covers? Protective Line Covers or "Rubber Hoses" provide protection to customers’ personnel working in potentially hazardous proximity to Meralco’s high-voltage (34.5kV, 13.8kV, 13.2kV, and 6.24KW) power lines. These rubber hoses are rented and installed upon the request of the customer. What is the “Electrical Experts Certified by Meralco” (CBM) Program? Meralco supports you, our customers, in completing the service application process through the Electrical Experts Certified by Meralco (CBM) Program. Since Meralco is restricted by regulation to facilitate wire installation inside your premises or loadside wires, it created an avenue where customers can reach out and tap select reliable and dependable suppliers. Customers can tap CBMs, which are composed of energy service providers, contractors, developers, and designers with the aim of easing out the technical requirements before Meralco energizes your premises. What is the difference between lineside and loadside wires? Simply put, an application for electric service for an ordinary household may look at only 2 categories of wires that must be installed to connect his premises with Meralco facilities. Lineside wires may be considered as the upstream component and pertain to the overhead wires from the Meralco poles, to the drip loop, to the connections terminating at the customer’s meter socket. Meralco is in charge of these installations as part of the service application process. Loadside wires may be called as the downstream component and comprise of the wires connecting the meter socket to the circuit breaker to the wire installation inside the customer’s premises; and are considered as customer’s property. During the service application process, customers are required to complete the installation of loadside wires as part of the technical requirements. Customers would acquire the services of trusted electricians and contractors, such as CBMs in the completion of this technical requirement. What are the advantages of availing trusted electricians and contractors? Meralco suggests to its customers the involvement of trusted electricians and contractors, such as electrical experts Certified by Meralco (CBM), in the completion of its technical requirements for a safe, reliable, and convenient service application process. Trusted electricians and contractors engage in continuous training for professional service delivery to its customers. The CBMs alone, engage in several programs facilitated by Meralco to aid the needs of our customers. These include technical training programs, alignment of technical standards, and customer service. How is Meralco affiliated with trusted electricians & contractors, including CBMs? Though Meralco organizes training and accreditation program of contractors, the CBMs are in no way legally connected with Meralco. Meralco remains as a third-party entity between the agreements of the contractor and the availing customer. Meralco however presents to the customers both supplier and service package options for competitive and best-price offerings. Where do I apply for a business electric service? *Relationship Managers are assigned for Corporate Partner accounts. How do I apply for a business electric service? *For Representatives: Authorization Letter & Additional IDs are required. Schedule for an on-site inspection. Meralco will conduct an on-site inspection on the availability of facilities and perform an assessment of the additional installation the business may require. Review and acceptance of contract. Meralco will present the contract for electric service, which details the following: a.) technical specifications, b.) commercial arrangements, and c.) costs for the installation of additional facilities, if applicable. Begin construction of service entrance and submit the Certificate of Final Electrical Inspection (CFEI). A duly-licensed electrician, contractor, or an electrical expert Certified by Meralco (CBM) is expected to be commissioned by the customer for a safe, technical-compliant, and hassle-free installation. Depending on the arrangement with the customers, these third-party service providers would also acquire the Certificate of Final Electrical Inspection (CFEI) from the City’s Building Administrator’s Office or City Engineering’s Office. Payment of service application charges and bill deposit. Service application charges includes the cash advance should there be additional facilities to be installed required by the business. Bill deposit is computed based on the electrical plan or electrical load requirement (click here for the bill deposit amount table). Both fees will be settled at any Meralco business centers. Construction of additional lines and facilities. This is an optional step for business that require the installation of additional facilities based on the electrical load requirement. Additional lines and facilities may include lineside wires, transformers, and poles. Service energization. Meralco will perform a final inspection before installation of meter and energization of facilities. It is required that the customer or a representative is available on-site during service energization. Also, for a safe, technical-compliant, and hassle-free application for a new electric service for business purposes, you may avail the services of electrical experts Certified by Meralco (CBM). You may visit www.amc.org.ph for more information. Where do I apply for a residential electric service? How do I apply for a residential electric service? Schedule for an on-site inspection. Meralco will conduct an on-site inspection of the availability of facilities and condition of the customer premises being applied for. Begin construction of your service entrance. Customer will acquire the meter socket from the nearest Meralco business center to be used in the installation of the service entrance. A duly-licensed electrician, contractor, or an electrical expert Certified by Meralco (CBM) is expected to construct the service entrance for a safe, technical-compliant, and hassle-free installation. Sign electric service contract, pay bill deposit, and submit Certificate of Final Electrical Inspection (CFEI) at the nearest Meralco business center. Electric Service Contract is signed by the customer. Certificate of Final Electrical Inspection (CFEI) is acquired at the City’s Building Administrator’s Office or City Engineering’s Office. Service energization. Meralco will perform a final inspection before installation of meter. It is required that the customer or a representative is available on-site during service energization. Also, to ease your application for a new electric service for residential purposes, you may avail the services of electrical experts Certified by Meralco (CBM). You may visit www.amc.org.ph for more information. What are the fees that I need to settle for a new electric service? The bill deposit is an amount required from all customers of all distribution utilities as a guarantee for the payment of electric bills. It may be likened to the advance deposit made by a tenant for the rental of residence or office space. The bill deposit amount corresponds to an estimated average 1-month bill, which is computed based on the electric load requirement submitted during service application. * Applications with more than 5KW of applied load need to be computed and formalized by a Meralco representative. Please note that the bill deposit amount may be adjusted yearly to reflect the close average monthly bill of the customer. The adjustment mechanism is covered by Meralco’s Annual Update of Bill Deposit (AUBD) program. Lastly, the bill deposit earns an interest of 0.25% as approved by the Energy Regulatory Commission (ERC). It may also be refunded after the completion of a request for service termination. You may click here to know more about bill deposits & interests, AUBD program, and bill deposit refunds. Cash Advance Fee is based on the additional Meralco facilities that are required to be installed to energize the premises. This includes the cost of primary power lines, poles, transformers, and other accessories that support the installation. The fee will be computed based on the customer’s required facilities following Meralco’s inspection and initial design of the electric service installation. Meralco officially provides the computation through a Cash Advance letter to the customer. Similar to bill deposit, the cash advance fee is refundable. You may click here to know more about Cash Advance Refunds. Installation & Removal (IR) Costs, which are unique to temporary connections, are based on the temporary facilities that are required to be installed and eventually removed upon energization of a permanent service. This includes the partial cost of poles, primary power lines, transformers, and other accessories that will be installed, as well as the cost of retirement of these facilities. Meralco officially provides the computation through an Installation & Removal (IR) Cost letter to the customer. Unlike bill deposit and cash advance, the IR cost is non-refundable. Flat streetlights are Meralco-owned lighting fixtures used for the illumination of streets, whether for public use or for the purpose of private subdivisions and villages. It is labelled as “flat”, because Meralco charges a fixed consumption for each streetlight based on the type of lighting fixture installed. Flat streetlights are usually applied by local government units (LGU), homeowner associations, and land developers. Metered streetlights are customer-owned lighting fixtures for the illumination of streets, whether for public use or for the purpose of private subdivisions and villages. It is labelled as “metered”, because Meralco charges are based on the actual consumption of the streetlights. There are no special rates for metered streetlights. How can I apply for a streetlight? The application for streetlights has the same process and documentary requirements as any service application for electric service. The only difference is the requirement for a council resolution (that the application has a budget) which is specific for flat streetlights for LGUs. You may visit any of Meralco’s business centers for a streetlight application. Ordinary Service Application (OSA) – existing Meralco facilities are sufficient to address the customer power requirements. This only involves the installation of a service drop and meter after the customer has completed both documentary and technical requirements. Project-Covered Application (PCA) – involves the installation of additional Meralco facilities, such as poles, transformers, and lines, to provide the customer power requirements. This involves a design of facilities process, which both Meralco and customer should agree before starting with the construction. The customer is not required to determine this category upon application. This will be Meralco’s responsibility following field inspection and will be presented to the customers as one of the findings. New Connection – for newly constructed houses, establishments, and commercial spaces. You may click the link to go to the service application pages. How long does it take for Meralco to energize a new electric service? Meralco ensures that applications for electric service are energized professionally, safely, and on time as agreed with the customer through the Agreed Target Energization Date form. In general, Ordinary Service Applications (OSA) or applications which only require the installation of service drop or meter are easier to complete than Project-Covered Applications (PCA) or applications which require to undergo a design process and installation of additional Meralco facilities, such as poles and transformers. You may click this link for a discussion on service application types. For safety, Meralco will only energize the application for electric service upon the customer’s completion of the necessary documentary and technical requirements. Based on the condition of the application, the customers may be required to submit additional documents, such as technical permits and right-of-way. You may click this link for a full list of documentary and technical requirements. Service Rate is a way for Meralco to classify its customers and is used to properly bill your monthly consumption based on the approved rate schedule. Residential – used for a single dwelling unit with at least 1 toilet & bath and a kitchen facility for the primary purpose of residence. General Service (GS) – commercial and industrial customers with a connected load of less than 40kw for general power, heating, and/or lighting. You may click on the following link for a detailed discussion on bill components. The Guaranteed Minimum Billing Demand (GMBD) is the minimum demand in kilowatts (kW) for business customers with contracted capacity of 5kW and above. It covers the development, operations and maintenance of the distribution system of Meralco from high-voltage transmission grids to commercial and industrial accounts. The GMBD of the customer is based on his load requirement and should be right-sized during contracting. This is in compliance with ERC rules. GMBD is computed by taking 70% of your Contracted Capacity (for GSB, 5kw is the minimum GMBD while for GP, 40kw is the minimum GMBD). For General Power customers, you can modify your contract and GMBD once a year while for General Service-B customers, you can apply for modification of contract once a month. You may click on the link for a discussion on customer classes. GMBD is used to compute for the Demand and Distribution Charges*when the actual kilowatt demand is lower than the guaranteed minimum as specified in the service contract. If the customer has reached the guaranteed minimum, the demand and distribution charges are based on the actual kilowatt demand registration. Hence, business customers who have zero (0) kwh consumption are also billed with GMBD charges. *You may refer to the monthly published rates for computation details. What is the difference between an Applied Load (AL) and Contracted Capacity (CC)? Applied Load (AL) is the load in kilowatts (kW) computed from your submitted electrical plans. Contracted Capacity is the maximum power requirement of the customer at any given time and is computed by multiplying the Applied Load by the Demand Factor based on the nature of your business. This is also used as the basis for the installation of the appropriate Meralco facilities. How can I request installation of a sub-meter? Meralco allows use of sub meters as long as it is installed at any point on the loadside wire typically after the Meralco meter. However, maintenance and billing of the sub-meter is not covered by the customer's contract with Meralco. Meralco personnel are not allowed to install sub-meters. Customers are in charge of the purchase and installation of the sub-meters. The customer however may seek assistance from an electrical experts Certified by Meralco (CBM) for the proper installation of a sub-meter. When is it necessary to apply for a temporary electric service? Temporary Service is provided to customers who will use the electricity during the construction phase of their residential or business premises. Typical loads are welding machines, power tools, and similar construction devices. A corresponding Installation and Removal (IR) Cost is required to be settled and is based on the facilities that will be installed and eventually retired. Why is it important to apply for a permanent service once construction has been completed? A permanent service will be beneficial to the customer once construction has been completed, because the facilities and corresponding power requirement will be matched with the day-to-day loads of the residential or business customer. It will also ensure that the customer is billed according to the appropriate service rate and kilowatt demand. What is the standard voltage in the Meralco franchise? Is it possible to have 220V and 110V enabled in my premises? Unlike in the US which uses 110V for standard appliances, the standard voltage level for residential use in the Philippines is 230V according to the PEC. If you have appliances with 110V, an external transformer or Auto-Voltage Regulator (AVR) is required to be used to match Meralco's nominal voltage. Use of appropriate transformer devices would also ensure your safety and proper functioning of your device. 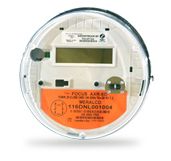 When is it necessary to apply for a multi-metering setup? A multi-metering setup is usually applied by large buildings with multiple individual units, such as condominiums, apartments, or commercial establishments, for commercial and residential purposes. This can also be availed by small apartments usually for lease, as long as separation guidelines can be met. An advantage of the multi-metering setup is that each unit can manage their own electric service, including availment of special programs such as Peak Off-Peak and prepaid services, and tax declaration for commercial purposes. However, customers must need to factor that the multi-metering center will form part of their civil works. The multi-metering setup assumes a single location for all the Meralco meters, which serve the individual units of a residential, business, or mixed-use premises. The multi-metering center may be located at the ground floor, basement, or on each floor of the building. What is a multi-metering per floor setup? Developers may opt for a multi-metering per floor setup if the building is at least 30 floors or with at least 300 units. This scheme involves multiple locations of the Meralco meters or meter centers for a certain building or residential premises. The meter centers for this installation may be located in each floor, serving the units in that level. Customers would consider this setup as more cost-effective because of cable length considerations compared to having all meters in a single location. What are the differences between overhead and underground installation of facilities? Meralco facilities, such as transformers, banks, and wires, can be installed either overhead or underground. Overhead facilities are installed on poles and are owned by Meralco. On the other hand, underground facilities are installed inside conduits which are owned and prepared by the customer with the approval of Meralco. Overhead is more cost-effective and is easier to access and maintain. Underground installations are concealed from public view and addresses aesthetic concerns. Some areas, however, (ASEANA, BGC, etc.) only allow underground installations. Customers may also want to insist on underground installations. In these specific instances, customers are charged with the difference in cost versus the cheapest scheme.